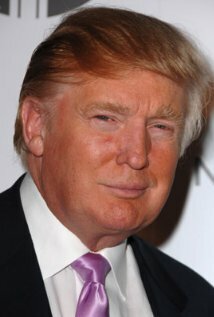 For the first time, I saw a different Donald Trump on Celebrity Apprentice. What I witnessed was the amazing process of his business mind. With his son and partner at the table, listening to the way they think, how they conduct business, what THEY felt should have happened, I saw what makes Trump a consummate and formidable business person. It was really brilliance! As a viewer, I felt like I was a butterfly on the wall listening to how it all works! Seeing it in action! I came away with the feeling of Trump and his colleagues teaching anyone who wants to learn and listen, how you might want to run your business and position yourself. Yes…I gained a little more respect for Trump. Sometimes because life is played out behind the Media Wall, audience members can’t really see “reality” or “lessons learned.” In Episode 2, for me, this was not the case. The other thing I learned is that with all of my criticisms of the show…the really WONDERFUL aspect of the show that is consistent is that the show is providing funding for charities. This is truly awesome! So, in spite of my criticisms, this show’s goal and objective has my approval…great idea…again, I ponder, is this the brilliance of Donald Trump? Hmmm. more respect gained, perhaps. Oh! One last thing, well two…Number 1: Kate skated through this time. Let’s see what happens next.. and number 2: In the first episode with a different “make” of African American contestants…I thought to myself, ok, cool…but please don’t say it..please don’t say it, please don’t say it. I was thinking it, I was saying it out aloud…please…just don’t say it…and THEN…..it happened…”I’m really impressed with how ARTICULATE you are!” AAAAAUUUGHGGGHHHGGHGH…everyone knows when a Black person, African American is signaled out for their “articulation” it means that the person making the statement MAY have some stereotypical issues that need to be addressed. It’s basically saying, “Wow!! They don’t sound like or talk like the stereotypical, uneducated, street-oriented, gang-busting-black talk type of person that I’m used to seeing! So, let me point this out!” LOL…not saying they’re racist, but sometimes people can’t win for losing can they? If they say they’re articulate … their racist. On the other hand, if they say that they’re articulate and a positive image for their race … they’re racist. But, then again, if they say that they are articulate because they can understand what they’re saying because they, themselves, don’t speak or understand slang … they’re racist. LOL. Right? So, that’s why my advice is….Don’t Say It! lolol….you cannot win.